Pleased to meet you from Randall the Rabbit. This boy bunny rabbit kid’s animal print is fab for children who love animals or who have a pet bunny rabbit. The fun and unique art print will be a fantastic addition to any child’s bedroom, playroom or nursery and also a great gift for a birthday. 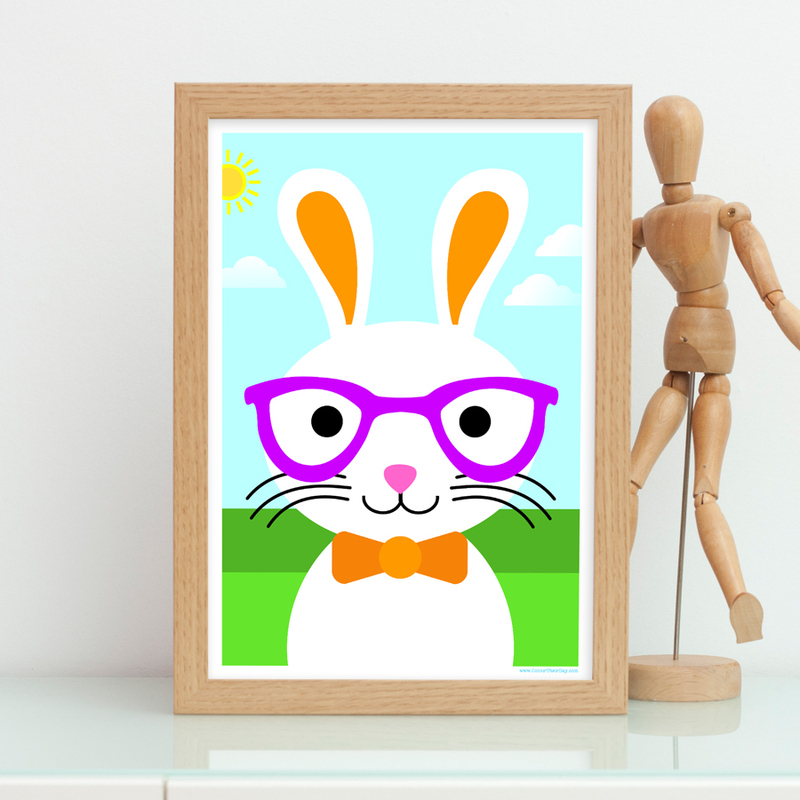 The design shows a cute boy bunny rabbit wearing a large pair of purple glasses and an orange bow tie. The bright and colourful background depicts a beautiful blue sky, green grass and a vibrant sun. The print is available in 7×5 inch unframed, 7×5 inch framed, A4 unframed, A4 framed and A3 unframed. It is from the ‘Party Animals’ range of kid’s stationery, where you will find many more cute animals, including horses, cats, dogs and a unicorn. Be the first to review “Boy Bunny Rabbit – Kids Animal Print – Randall The Rabbit” Click here to cancel reply.